G. Mohan Kumar says PMO wanted Rafale deal fast-tracked, and his own notings were ‘free and frank’, as encouraged by then-minister Manohar Parrikar. 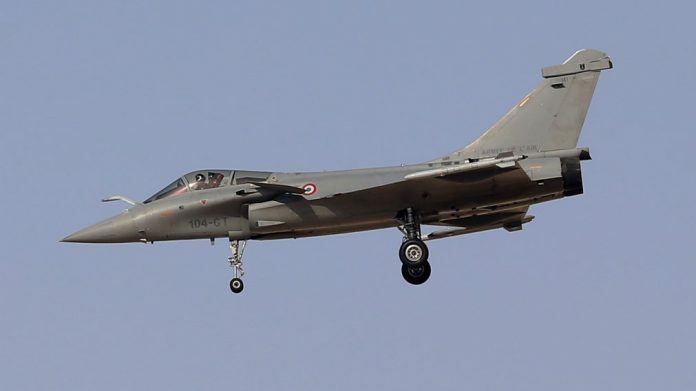 New Delhi: The 7.878 billion-euro deal for 36 Rafale fighter jets is “clean”, and there was no interference by the Prime Minister’s Office on the issue of pricing, the former defence secretary in the eye of the storm has told ThePrint. According to a report in The Hindu, G. Mohan Kumar had “strongly objected” to the PMO holding “parallel negotiations” with the French government on the Rafale deal. But the retired official, who is now based in Kerala, told ThePrint over the phone: “What I am seeing is an over-reaction to my noting. It is sad that a free and frank discussion taking place within the ministry has been blown up to this level. Kumar didn’t deny writing the note, but clarified that his comments were regarding the issue of a bank guarantee and not pricing. “Yes, I did write the note. A note was brought to me and I put in my free and frank views, which was encouraged by then-defence minister Manohar Parrikar. The issue was with regard to the guarantee by the French government. MoD works differently and we want to keep everything within. We didn’t want anybody else talking,” he said. When pointed out that the words he had used seemed a bit harsh, signalling that he felt very strongly about the issue, Kumar agreed that they were harsh. “It was in the early stages of the negotiation, and, as I said, MoD works differently,” Kumar said. He went on to say that at no point did the PMO interfere in the price negotiations, though he did admit that the PMO wanted the deal to be fast-tracked. “That was the style of the PMO. Things had to be done fast,” he said. Will The Print now issue a public apology and retract all the articles written against the Rafale purchase? This is your chance to stand up and show what stuff you are made of. Rahul spoke like a drunkard. Repeated telling lie about non existing involvement by PMO. He wants to transform his lies into truth by repeated nonsense. Hope he won’t be elected this time.